Traffic Office investigators at Santa Clarita Valley Sheriff’s Station are investigating a two-car traffic collision that occurred in Canyon Country on the Friday night following Thanksgiving. 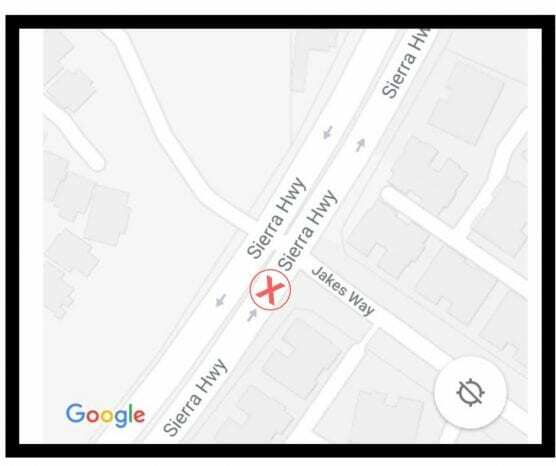 The collision, which occurred just past 11:00 p.m. at the intersection of Jakes Way and Sierra Highway on Nov. 23, left one driver with significant injuries. It is under investigation whether drug or alcohol impairment was a factor contributing to the collision. The two vehicles involved are described to be a blue 2015 Mitsubishi Lancer sedan and a white 1992 Ford Explorer SUV. Any witnesses to the collision are asked to please contact Detective Mark Cramer at (661) 255-1121 extension 5111.